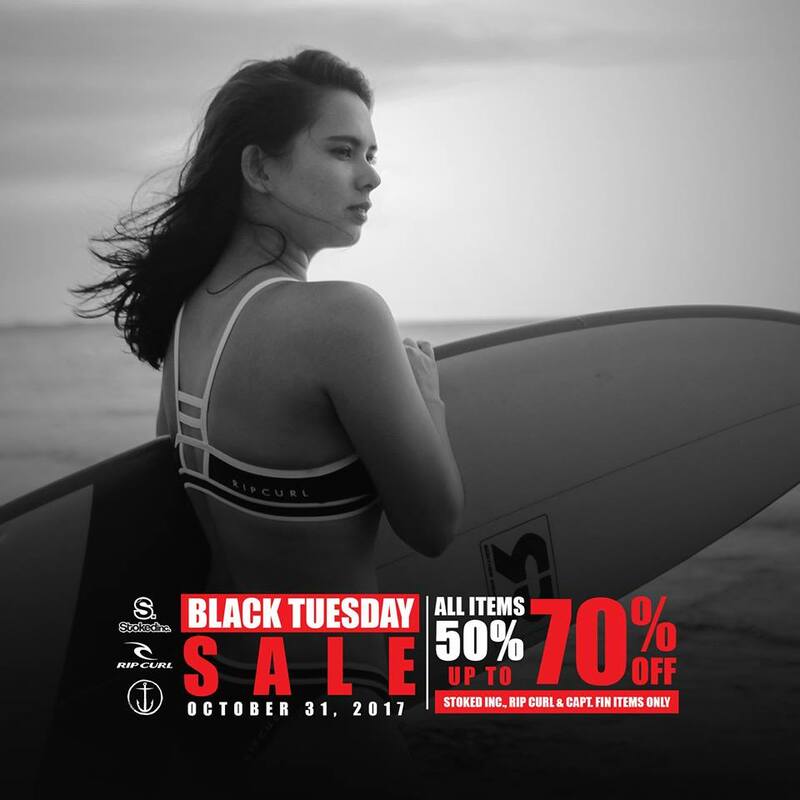 It's the BLACK TUESDAY SALE today, October 31, 2017! Get all items 50% to 70% OFF on all Stokedinc. and Rip Curl Brands! Available on your favorite Stokedinc. and Rip Curl shops nationwide!